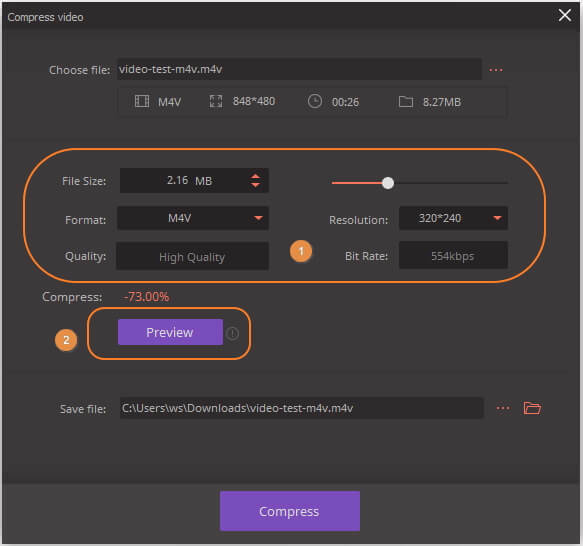 Compress M4V files by changing video resolution, bit rate, format, and others. Support 1000+ video formats for M4V compression and conversion. Edit M4V files with trimming, cropping, rotating, cutting, etc. 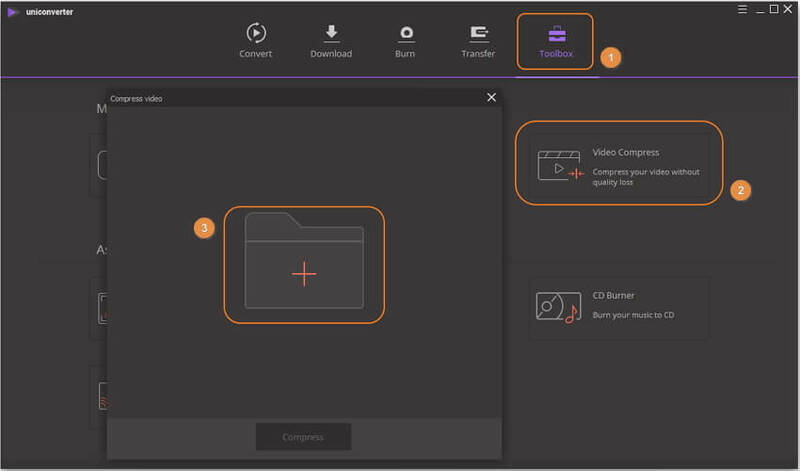 Versatile toolbox combines DVD Burner, Screen Recorder, Fix Video Metadata, etc. The problem with editing many large movie files is that it can be difficult to eventually produce them and publish them online. M4V file formats are excellent because they can produce an extremely high quality film, the problem, however, is that it makes it difficult to share the film, posted online or potentially even burn it to DVD with the size of these files. In order to get a more compatible file type and to make the process of editing much simpler, it could be an ideal situation to potentially compress M4V into a more manageable file type. Luckily, there are many types of software where you can either convert the files or potentially change and compress the files into a different resolution format. By slightly changing the resolution on the files and compressing them, it will become much easier to enjoy the videos, edit and share them. Compressing the files may also not restrict the quality of the video when completed on the right type of software. If you are looking for the best software to compress M4V files, you should strongly consider some following options. Wondershare UniConverter (originally Wondershare Video Converter Ultimate) can perform not only compression on M4V videos but a whole host of other editing software functions. With the software, you can learn how to compress M4V on Mac as well as understand how to compress M4V on Windows. The M4V compressor also provides DVD burner, video recorder, YouTube downloader and more. With all of the extra features as well as a superior conversion/compression speed, the video compressor stands as one of the most favored programs available on this list. Convert M4V videos to 1000+ video formats including MP4/MOV/MKV/WMV. Cut unwanted video parts by trimming, cropping, rotating, and more editing features. Download videos from 10000+ video sharing sites like YouTube. Transfer compressed and converted videos from PC/Mac to other devices with USB cable. 30X faster speed and higher quality output than common M4V compressors and converters. 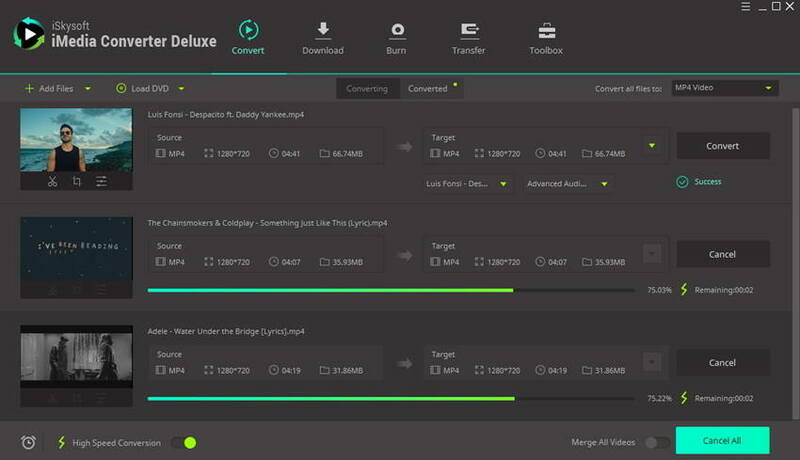 Download, install, and open Wondershare UniConverter (originally Wondershare Video Converter Ultimate) on your PC/Mac, then move to the Toolbox section and choose Video Compress option. A new window will appear, click the + sign on it to select an M4V file. You can see the basic information and the compression settings on the interface if you have added your M4V video successfully. Customizing file size, bit rate, resolution and format as you need, then press the Preview button to check your video. After all changes have been saved, click on the Compress button to start compressing M4V file size. With above steps, you can only convert one video each time. If you are looking for batch compression, moving to learn how to compress M4V videos in batch >>. Many people are looking for online compressors as they don't want to download and install programs to their computer. Online M4V compressors are easy to use but also restricted by internet connection and file size limits. 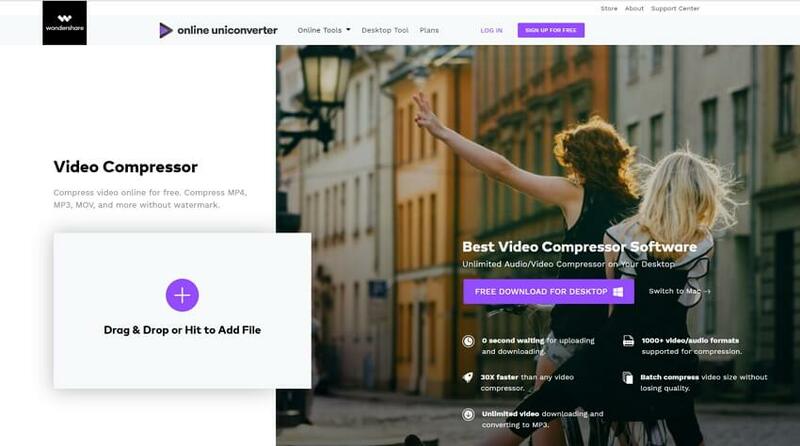 If you don't mind this, then we recommend you the best online M4V compressor - Online UniConverter (originally Media.io). It's totally free and easy to use, you can finish the compression process within 3 simple steps. Step 1: Open Online UniConverter (https://www.media.io/video-compressor.html) on your browser, and click on the + icon on the interface to import an M4V video. Step 2: Customize file size, video resolution, and video format as your needs. 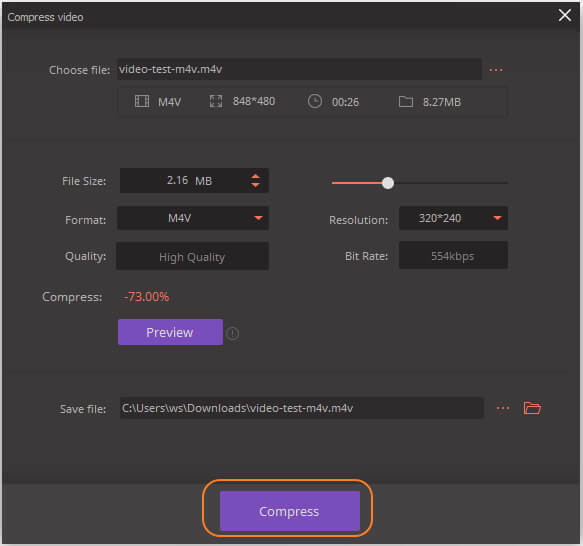 Step 3: Click on the COMPRESS button to start compressing M4V file, you can download the video or save it to the Dropbox after the process finished. Imeadia is an MP4 and M4V video compression software. Not only can you make videos much smaller utilizing this program but it's compatible for learning how to compress m4v on Windows and learning how to compress M4V on Mac. No matter what type of computer you are running you can use this software. The program also enables multi-file support for converting and compressing several files at once. You can convert M4V into files which will be compatible with tablet devices, smartphones, gaming systems and more. There are some small editing functions available and the program also has relatively fast compression and conversion speeds. 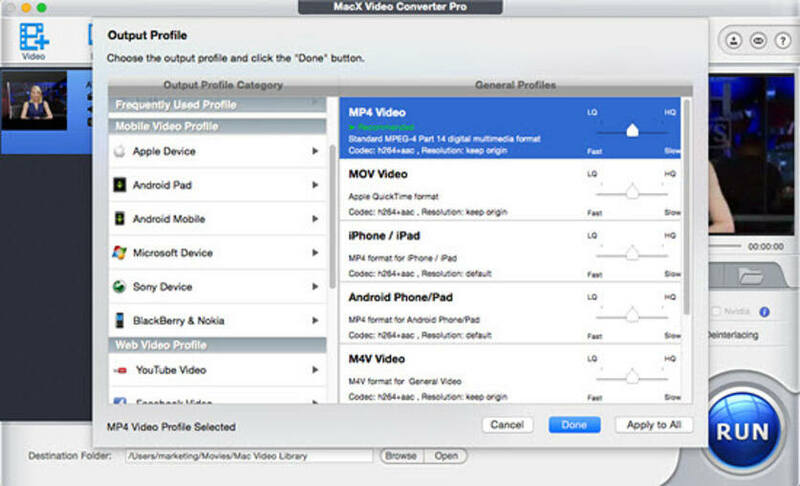 Macx Video Converter Pro can compress videos for e-mail, YouTube and more. The engine that they have built boasts itself on being one of the fastest systems for conversions online. Although the program is freeware, it does a relatively good job after it is installed. The video quality is untouched but does leave a small watermark in the bottom corner of the completed video. Through the use of a multi-core system for conversions, this program can convert files quickly but with the unfortunate use of a watermark. This program which is available for Windows is capable of converting AVI, MPEG, M4V and more all of the properties for the conversion process can be saved into a single user profile so that you can continuously change over files with ease. Compression can be done a number of different sizes and you can select a ratio that matches the needs for your particular project. Although the interface on this program is relatively simple, it does a fairly good job that completing the conversion process. This is one of the slowest programs tested on the list for the conversion process. Handbrake is a fully free to use audio compressor that has become a popular choice for many Windows users. The output settings can be adjusted quite easily and users can change over M4V files, WMV, MOV, MKV and more. This is a freeware style program and there are a few preset video compression/ conversion settings. Most of the compression settings in this program are relatively set and it can be difficult to get the same type of options from this software as you can with some of the other options on the list. It does offer bulk compression but this program also tends to be fairly slow to use. Keep some of these top options in mind if you are interested in learning how to compress M4V videos.